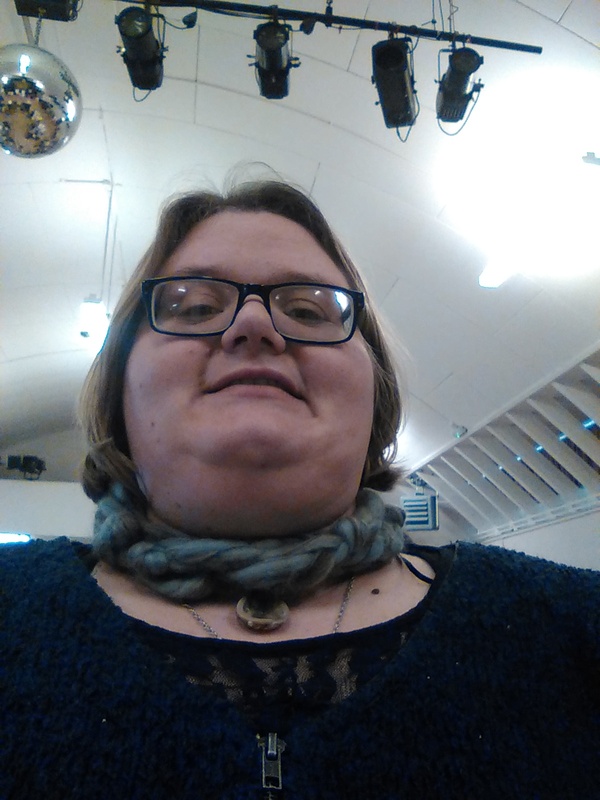 I’m wearing a prayer cord I made for Nehellenia as a choker. It makes a good skinny scarf too. I like the colours, they remind me of the sea under a stormy sky.